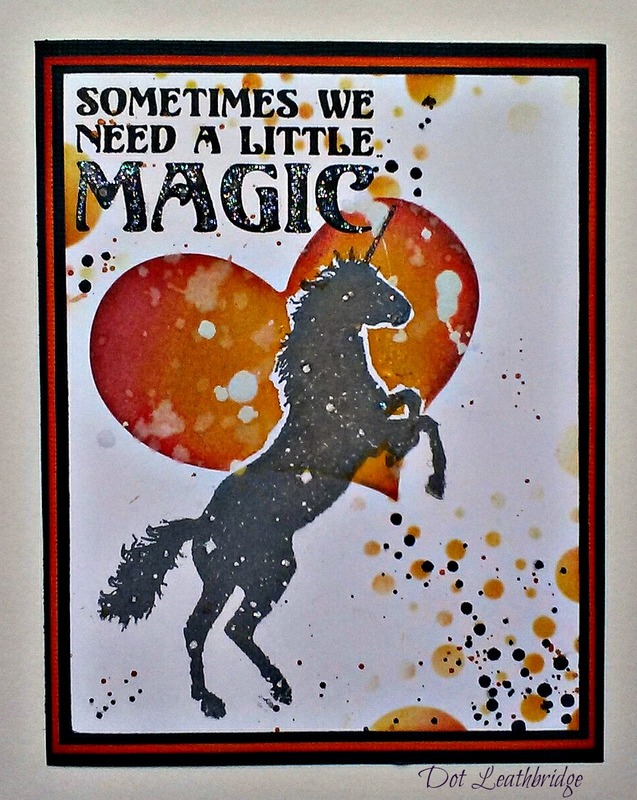 from the stamp set “Unicorn Magic”. They have 33 new releases altogether! ~ with a lovely mix of images, geometric designs, letters and sentiments. I fell in love with this set the minute I laid my eyes on it! This is a simple card with a little stenciling and splattering. The other night I was watching Visible Image on the Craft and Create show in the UK (you can do almost anything on the internet) and caught a glimpse of this card in the background (along with some others). Amazing! Such an honour and thrill for me…especially with the time it takes to receive stamps from the half-way around the world, make a card or three, and then send them back…I think I was one very lucky girl! *Visible Image are also at the UK Trade Fair from the 21st – 23rd of Feb. 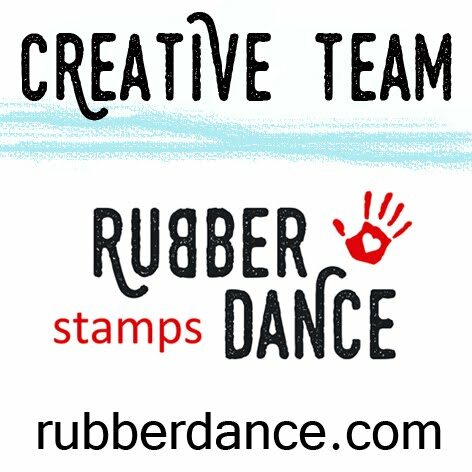 There are so many new stamps are being released at the moment and I think you are really going to love them. My wish list is soooo long! Not lucky Dot … TALENT … is the word you want. Didn't get to see the show but I wish I had. Fabulous make sweets. Wow Dot, your card ist fanatastic. Beautifully done!